The modern engine measures two things extremely well, the amount of air going into the combustion chamber with the mass airflow sensor (MAF), and the byproducts that are generated by the combustion event with the oxygen sensor. These measurements allow the engine’s computer to put the right amount of fuel and spark into the cylinder to give the most efficient and cleanest combustion event. What is fuel trim? A fuel trim is a data PID that indicates how much fuel the engine control module is taking away or adding to the engine to have a stoichiometrically balanced combustion event. It is a calculated value that is determined using the oxygen sensor and the MAF or manifold air pressure sensor MAP sensor. If a zero fuel trim number, the combustion event would be near perfect. Zero is almost a mythical place where the air and fuel are perfect at typically sea level. As the conditions in the engine change, the fuel trims will change. The fuel trim is essentially controlled by the length of time the fuel injector is open. Carburetors are stuck with a fixed range of fuel trim due to fixed jets. In order to get a cold engine to start, a carburetor would block off the air to a Venturi with a choke. The fuel mix would be richer (positive fuel trim), and the engine could start. The same phenomenon happens on fuel-injected engines with dirty air filters. But fuel-injected engines can compensate by changing fuel trim. Since there is less oxygen, the engine will need less fuel. Less fuel means a leaner fuel trim and less power. This adjustment comes at the detriment of performance by taking away fuel. It also works in the opposite direction. If unmetered air makes its way past the MAF sensor, the oxygen sensor will detect a lean combustion event. The ECM will then instruct the injectors to pulse for a longer period. This increases fuel consumption and decreases fuel economy. The ECM can only compensate so long before it becomes unbalanced and can no longer add or restrict fuel to achieve a proper oxygen sensor reading. This is when codes are set for too rich or too lean fuel trim. A restrictive air filter may not set a code, but the restriction and compromised fuel trim will hurt the power and efficiency. Replacing the filter and resetting the fuel trims may return the system to normal. Fuel trim is the adjustment the engine computer makes to the fuel mixture to maintain a balanced air/fuel ratio. Fuel trim is usually displayed as a percentage reading or + or – number that will have a fixed range on a scan tool. A positive fuel trim means that the ECM is adding fuel to keep the combustion range for a stoichiometric range. Conversely, negative fuel trim means the engine is taking away fuel. But, fuel trims have their limits. 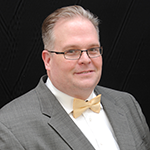 Accurate fuel trim values require a precise feedback signal from the oxygen sensor. 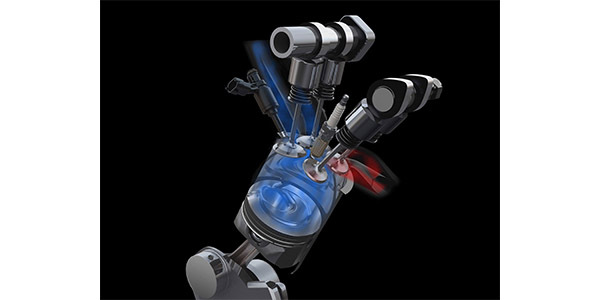 Otherwise, the engine computer has no way of knowing whether the fuel mixture is running rich or lean. When the engine is shut off, the fuel trim values are retained in the computer’s memory so the next time the vehicle is driven, it can pick up where it left off. Erasing the computer’s memory with a scan tool or by disconnecting the battery or the PCM power supply to clear codes also wipes the fuel trim values, which means the computer has to start learning the fuel adjustments all over again the next time the engine runs. 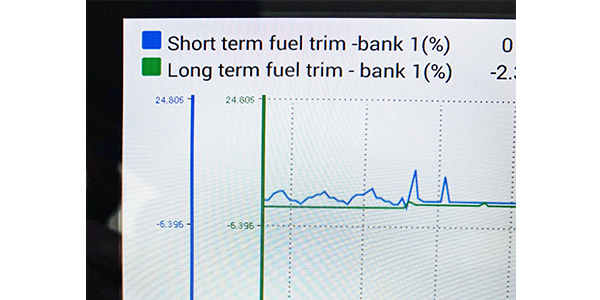 Short-Term Fuel Trim (STFT) values change rapidly and can bounce around quite a bit depending on engine load, speed, temperature and other operating conditions. Values typically range from -10% to +10%, though the readings may jump as much as 25% or more in either direction depending on load and engine conditions. 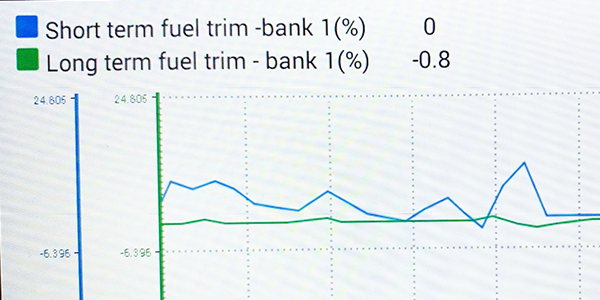 Long-Term Fuel Trim (LTFT) is a longer-term average of what the engine computer has been doing to balance the fuel mixture over a predetermined interval of time. This value is a more accurate indicator of how the fuel mixture is being corrected to compensate for changes in the air/fuel ratio that are occurring inside the engine. The key to using fuel trims in diagnostics is to figure out why the engine is adding or taking away fuel. Collapsed Air Filter: This could be caused by a clogged wet filter that has become damaged, ripped or dislodged by the vacuum generated by the engine. It will typically flow better than a clean filter. Blocked MAF Sensor: If an air filter is made of low-quality materials, pieces of the filter media can be dislodged and block the MAF sensor. They can even damage hotwire MAF sensors. Damage to Air Filter Housing: If an air filter housing is damaged, cracked or cannot create a seal around the filter, the air may create turbulence or allow unmetered and unfiltered air to get past the MAF sensor. Bad Filter Design: A lot of engineering goes into an air filter. Base fuel trims are calculated using a stock filter. If a replacement filter used the wrong materials, pleat design or gasket material, it can influence fuel trims. Oxygen Sensor is Defective: If the oxygen sensor is damaged and can’t measure the oxygen differential between the exhaust gases and reference/pump cell, it will not be able to determine the correct fuel trims. 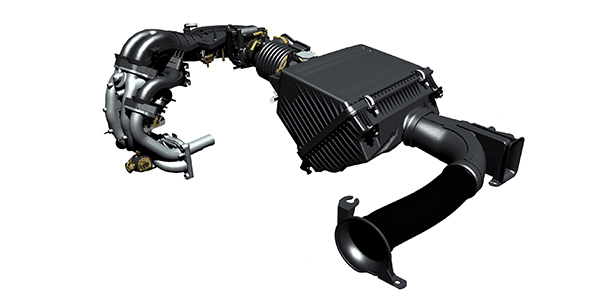 PCV System Restricted or Open: Unmetered air in the intake manifold from the PCV system can alter the fuel trims. PCV systems are engineered vacuum leaks that control crankcase gas volume and when they are allowed to enter the intake manifold. If the system is leaking, it can give a positive fuel trim. Restricted Fuel Injectors: If a fuel injector is clogged, it can’t deliver the correct volume of fuel when it is open. The ECM will increase the time the injector is open to compensate. This condition will give a positive fuel trim. Low Fuel Pressure: If the fuel pressure is below specifications or drops when the calculated load is increased, the injector will not deliver enough fuel when the injector is open. The fuel trim will be positive because the ECM will increase injector on time. Limp Modes: For some engine management systems, if a problem is detected with the sensors that measure misfires or knock, the fuel trim might turn positive and stay in a fixed range to prevent a knock or misfire event from occurring. This is why scanning for codes is critical. Restricted Exhaust: If a converter is plugged up, it will change how air flows through the engine and the amount of fuel required.